WASHINGTON - In an effort to help families keep their kids healthy and to reinforce the connection between a family's health and their home, the U.S. Department of Housing and Urban Development (HUD) is kicking off the second annual National Healthy Homes Month. 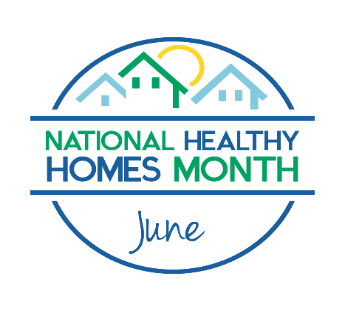 Throughout the month, the goal is to raise awareness for what makes a home healthy, and to strengthen coordination and collaboration between housing and health at the federal, state and local levels. Launched by HUD's Office of Lead Hazard Control and Healthy Homes (OLHCHH), National Healthy Homes Month 2017 will focus national attention on ways to keep people of all ages safe and healthy in their homes. To mark this month-long campaign, HUD Secretary Ben Carson, produced a video highlighting the direct link to a family's health and their home. Watch HUD Secretary Carson's video message. This year's theme, "Just What the Doctor Ordered," highlights the vital role that pediatricians and the health community play in healthy homes education. Due to home-related health risks such as asthma and lead poisoning, some of the most serious health problems for children may start at home. Creating healthier housing promotes the healthy growth and development of kids. "National Healthy Homes Month serves as an important educational call to action," said Jon L. Gant, Director of HUD's Office of Lead Hazard Control and Healthy Homes. "Providing families with the resources they need to keep their homes safe from potential health hazards such as lead-based paint and pests helps them to create the healthiest family and home possible." Recently, HUD's office of Lead Hazard Control and Healthy Homes developed a National Healthy Homes Month Planning Guide, which contains many resources and materials to assist with building awareness and implementation at the local level. For more information about National Healthy Homes Month 2017, please visit HUD's website to learn more about NHHM and how to participate and get updates on activities. Additionally, check out HUD's Healthy Homes App to get tips on potentially serious health and safety problems in the home and the steps to take to protect your home and family. HUD's Healthy Homes App is available via Apple iTunes and Google Play.